Our Ducati carborated Monster FuelCel cuts weight by more than 65%, up to 8.75 lb lighter than the stock unit it replaces. This helps acceleration and greatly reduces the bikes polar-movement allowing you to turn in faster than before, you can really feel the difference! This is due to ETI’s efficient use of Kevlar and Epoxy in its construction. This also eliminates tank warping due to ethanol blended fuels!! This FuelCel retains the front mount bracket and rear hinge along with the stock fuel pump so it will bolt right on to your Ducati carborated Monster. CONFIRMING THE TANK PRIOR TO PAINTING. The outer surface of the tank is sprayed with a thick coating of catalyzed polyester primer. This buff tan color must not be sanded through! Underneath this tan layer is a white epoxy primer, DO NOT sand through this white primer as the structural matrix is just below it. 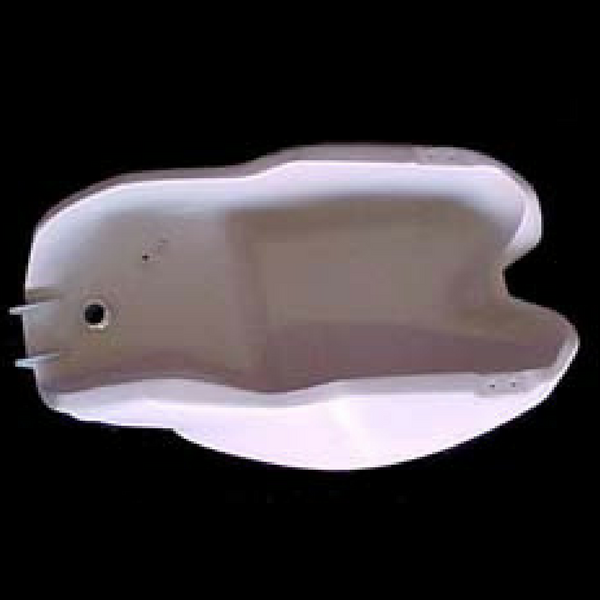 Sanding through the white primer can cause leaks to occur, especially around the bottom edges of the tank. If your tank has a place for your pump to bolt on (I.E. 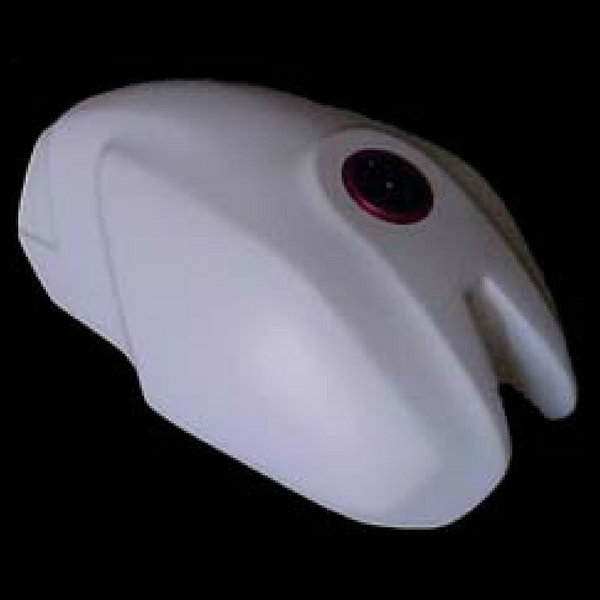 1098, GSXR, 749-999, etc) DO NOT PAINT OR PRIMER THE GRAY PRIMER AREAS. This can cause the pump to not seal. These areas are precision molded within thousandths of an inch and must be maintained as is, also DO NOT SCRATCH these surfaces. Install all necessary plumbing and hardware before mounting on the bike, then fuel it to capacity and run at least half of it through by running the engine BEFORE PAINTING THE TANK. Following the above procedure first will greatly help avoid any costly re-painting repair. All tanks come with a set of instructions, please read them in full to avoid costly mistakes.